I hope you are having a wonderful March with Spring-ish weather. Do you have St. Patrick’s Day plans? If candy & wine are included, maybe you should check out these two posts for great ideas! This post is a bit more colorful. I started with the wine, a charming shiraz (wait til you see the bottle), as the inspiration. Fun, flirty, and fruity, Shiraz can be paired with many candies. Though chocolate was tempting, I took a dive and chose the rainbow charm of Skittles. Although a candy like Skittles is a one way ticket to tummy-ache town, I figured the risk was worth the pain. I was not 100% confident in this pairing, but I went with that good ole gut feeling. 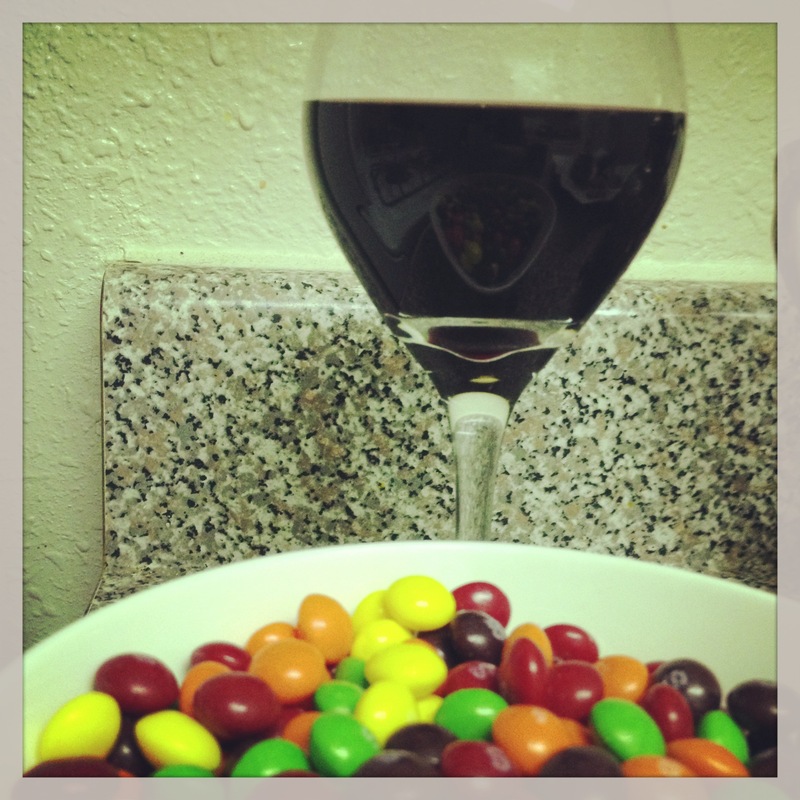 Something about the texture and flavor of a handful of Skittles matched with a rich Shiraz appealed to me. 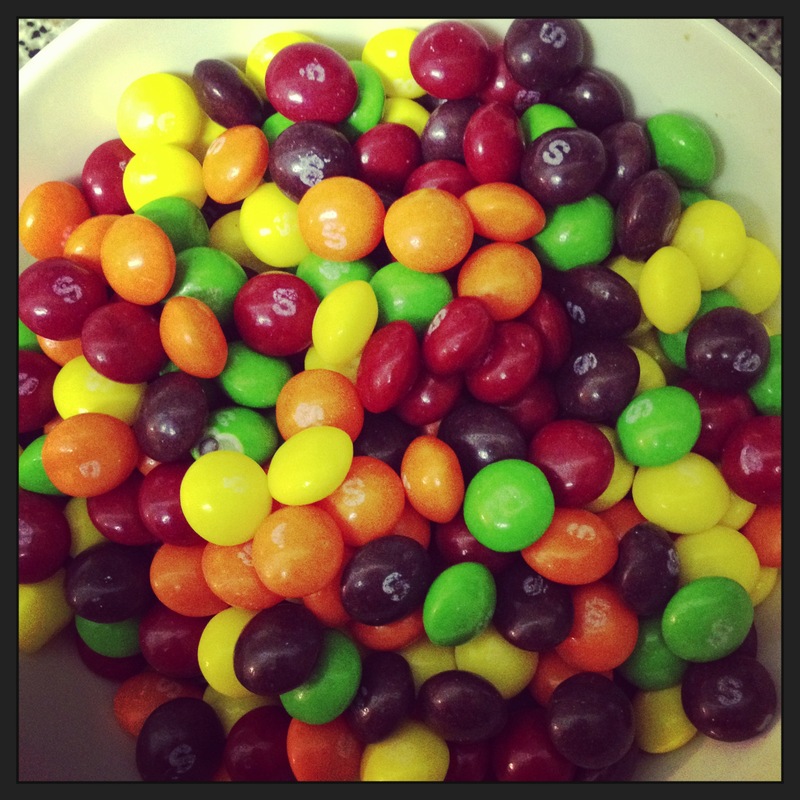 Plus each Skittle has its own flavor, which I always find very fun when pairing…although it is labor intensive. The wine is light and tart with an underlying rich flavor. There is a bouquet of strawberry. Let’s break it down by flavor. The taste of the cherry is rich and round. I think it goes well with the light and tart flavor of wine. Mmm..I don’t know why I like the orange-berry flavor of this combo but I do. It tastes a bit cheap and overwhelming but dang, it is tasty. The lemon adds a little flavor, but there’s not much else to note. Either way, yum! I definitely recommend the wine. I look forward to checking the other types. Go Australia! 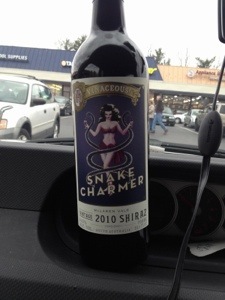 Posted in Uncategorized and tagged pairing, Shiraz, Skittles, Snake Charmer, Wine. Bookmark the permalink. What candy would you choose? 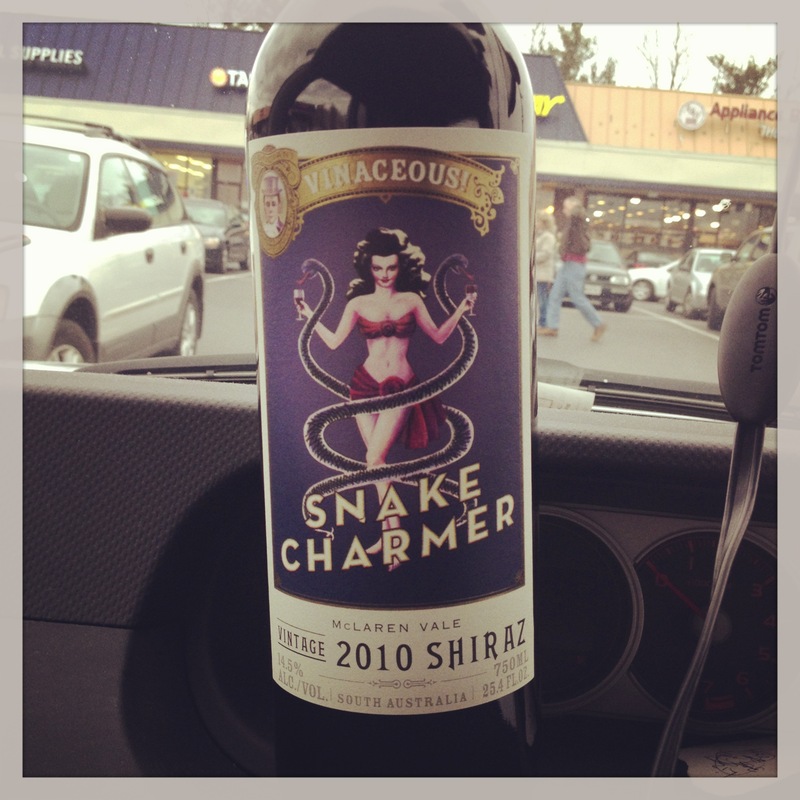 Posted in Shirazy and tagged Shiraz, Snake Charmer. Bookmark the permalink.